It is no secret that human beings are resistant to change. Our bodies and minds are programmed to achieve homeostasis in order to maintain our weight, body temperature, metabolism and functions needed for survival. We are creatures of inertia, which is why even in instances of minor changes to our circumstances, we can experience emotional turmoil. So what happens when a human undergoes a major transformation… or even a metamorphosis? Our next Date Night Double Feature brings you two such stories. 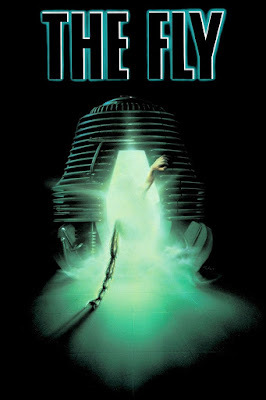 A reboot of the 1958 film by the same name, David Cronenberg’s film The Fly is arguably his most famous. Starring Jeff Goldblum and Geena Davis, it is the tale of a scientist’s gory metamorphosis into an insect when his latest experiment goes wrong. The incredible work by make-up artist Shonagh Jabour is worth the watch alone, as a very young and handsome Goldblum is mutated into something beyond grotesque. So be warned, The Fly is a film not intended for audiences with weak stomachs. Available for rent on Amazon Prime. Celebrating its 30th Anniversary this July, this cyberpunk, Japanese horror flick is a surreal, jolting and strangely sexual story of a man who becomes cursed after committing a hit and run. The film’s practical effects, heavy use of stop motion, black and white pallet, and low production cost work together to pull the audience into 'The Metal Fetishist’s' dark world. Chu Ishikawa’s score goes on to cement the viewer in director Shin’ya Tsukamoto’s vision, giving the film a truly industrial feel. Available on Shudder.